Looking for some Easter fun for kids? 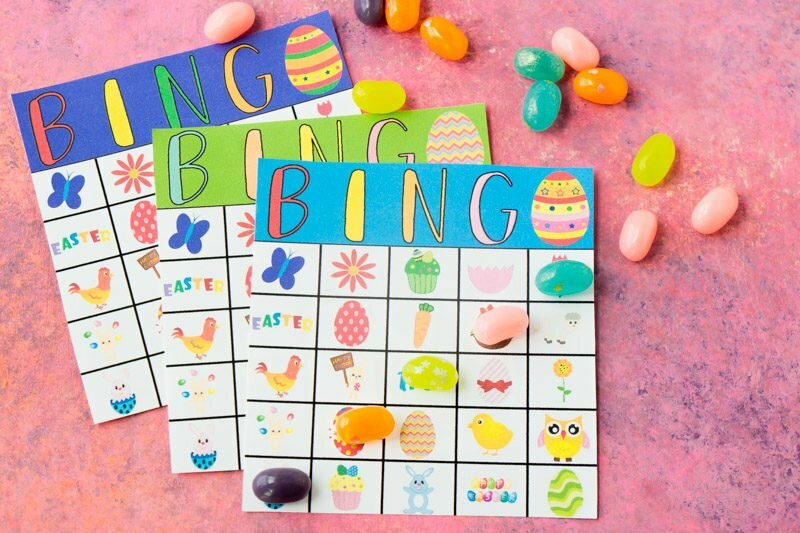 These free printable Easter bingo cards are perfect for kids or adults! 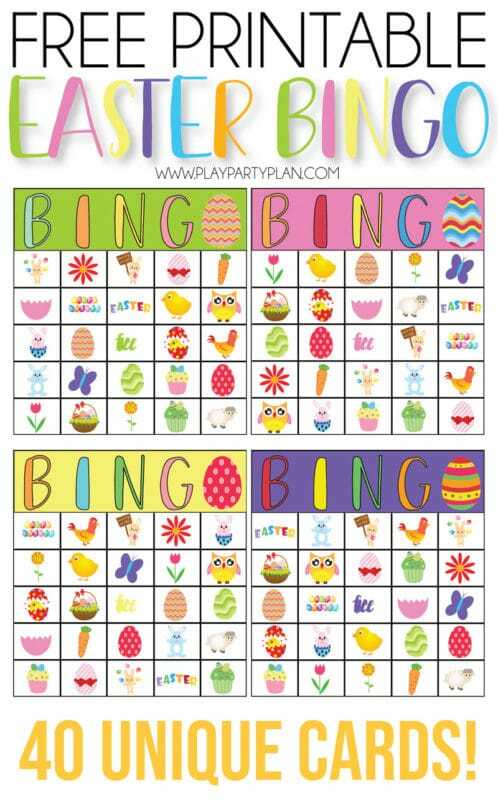 Simply print out the Easter bingo game and play for one hopping good time! One of our favorite family activities for the holidays is to play bingo together. Some times it’s a big game like for Christmas Eve every year with all the extended family. And sometimes it’s just the three (almost four!) of us playing together because my son likes it so much. We’ve also played bingo with kids in my son’s kindergarten class. This Valentine’s Day bingo game was a huge hit this year! Now it’s just become a tradition to make bingo games for every holiday so we have them in case my son decides he wants to play again. Kind of like doing an Easter egg hunt – it’s just become a tradition! 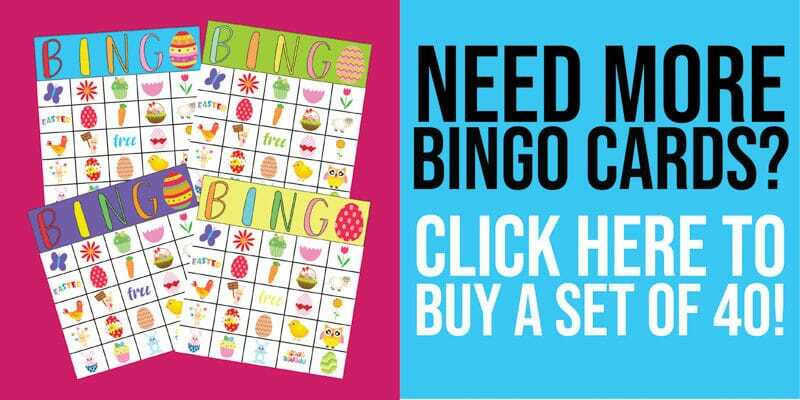 This Easter bingo game is just a traditional bingo game with cute little Easter images instead of numbers. If you want something a little more unique, you should try this Easter candy bingo game! You play the same way – give everyone a card and some markers. I like to use jelly beans (maybe even leftover from these fun Easter games!) but know that you may have to keep refilling people’s cups; jelly beans are tempting! Then to play, pull one of the image cards randomly and if anyone has that image, they cover it up on their card. FREE space is a freebie for everyone – people can cover it at the beginning of the game before any images get called. First person to get five in a row – horizontal, vertical, or diagonal – wins. Play one winner per game, multiple winners per game, or really whatever you want to do. I made the cards – you can make up the rules! 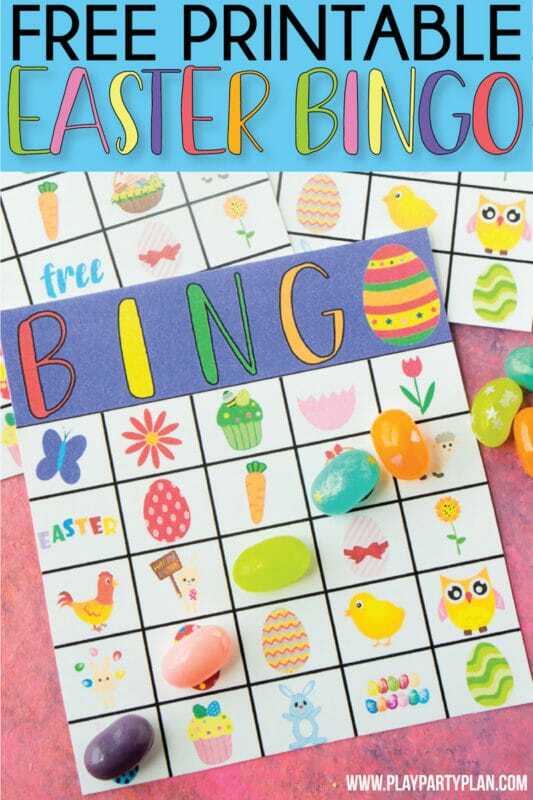 There are five different colors of cards included in the free printable Easter bingo game below. The cards are all unique, just have five different color headers (blue, purple, pink, green, and yellow). Each card has every single image on it so it’s not like a traditional game where people may or may not cover up a space, they should always cover up a space! This makes it a bit easier and more fun for younger kids. If you’re playing with adults, try something a bit more tricky like a postage stamp (four in a box), four corners, or even a blackout game to make it last longer. You can’t play bingo without prizes. Here are some of my favorite bingo prizes for this Easter bingo game! 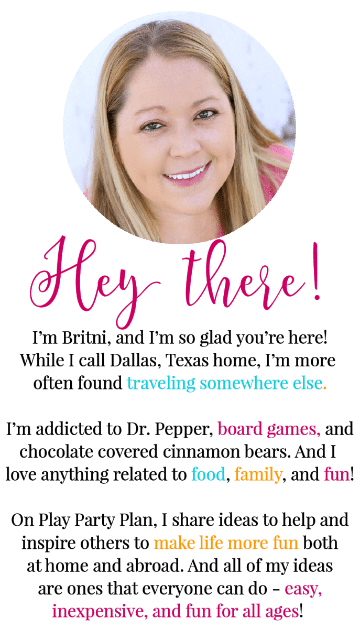 If you need more ideas, I have some other fun kid-specific Easter bingo prizes in with my Easter scavenger hunt! 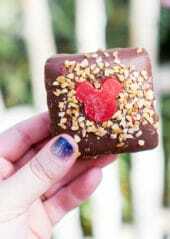 You could always go more traditional and do things like gift cards, Easter eggs filled with money (or candy), as well. These are just some fun Easter themed bingo prizes! Enter your first name and email address below to get the PDF of the bingo cards. This file comes with 16 unique bingo cards. Print out all 16 cards PLUS one extra sheet of bingo cards. Cut out the images from one of the cards on the extra sheet to use as the images you pull randomly for the game. If you want to get fancy, you could even laminate the bingo cards and just store them for Easter next year. If you need more than 16 cards, you can click here or on the image below to buy a set of 40 unique cards for a minimal amount. 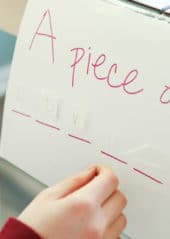 Otherwise, simply print out the 16 in the PDF on white card stock and play away! If you don’t see the form below, click here to get to it. 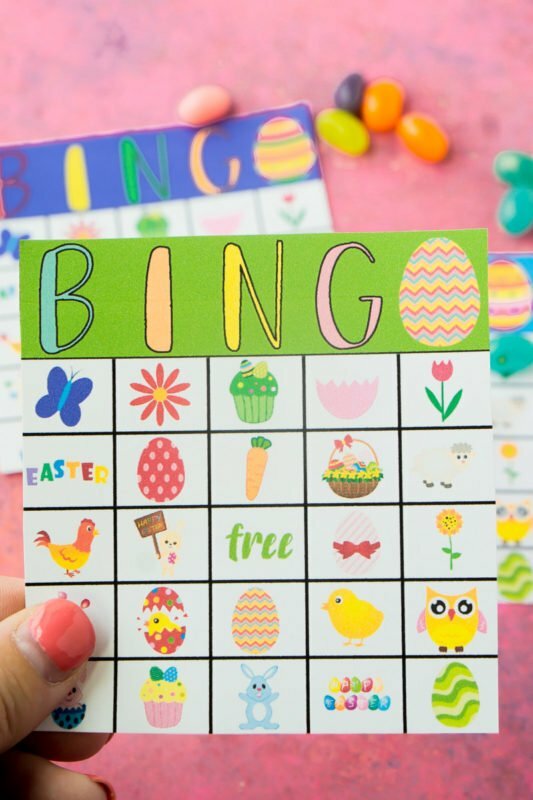 If you want some other ideas to go with this Easter bingo game, look no further! 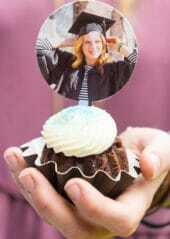 These ideas can help make it a perfect Easter celebration! 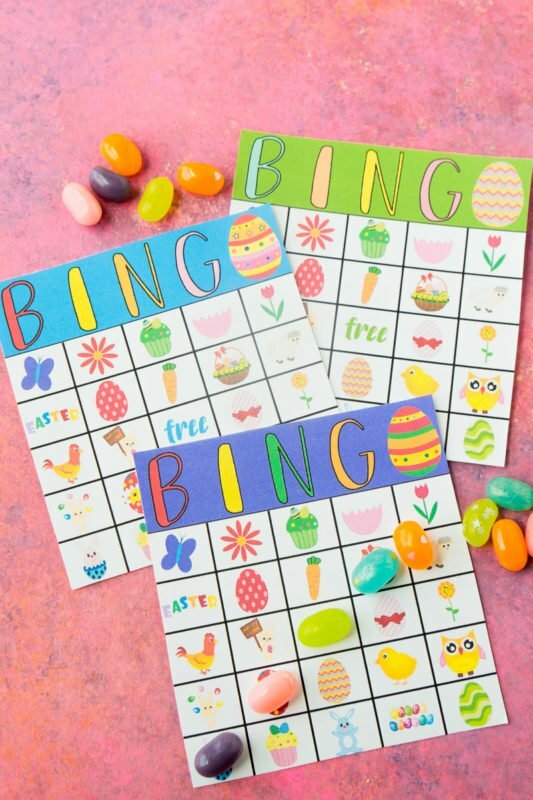 Don’t forget to pin these free printable Easter bingo cards for later! Yea! Have so much fun!